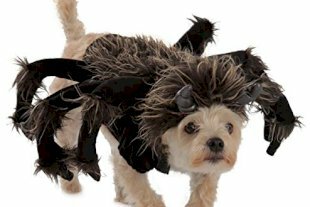 Host your next party with a roar with Nachosaurus! Just stack your nachos and bring your very own stegosaurus (and your appetite) back to life! Includes a bowl for the primordial dip of your choice. 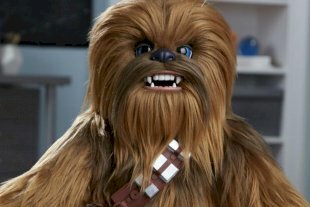 Also great for french fries, popcorn, nuts, pretzels and most of your favorite snacks! Thought to be extinct the prehistoric Nachosaurus is back... and ready to carry and serve your favorite snacks! 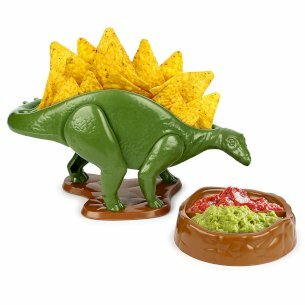 Modeled after a Stegosaurus dinosaur, this meal-time accessory will turn your next Taco Tuesday Jurassic, devouring chips and dip with style! 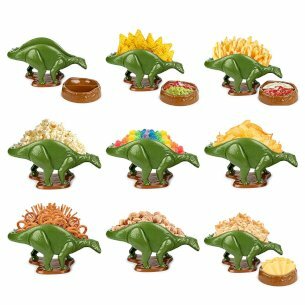 Sparking your imagination at meal time by combining your love of food and dinosaurs with the ultimate accessory! Not just for nachos, the NACHOsaurus is perfect for french fries, popcorn, nuts, pretzels and most of your favorite snacks!